I started off as a cross stitcher many, many years ago creating numerous cross stitch pieces. 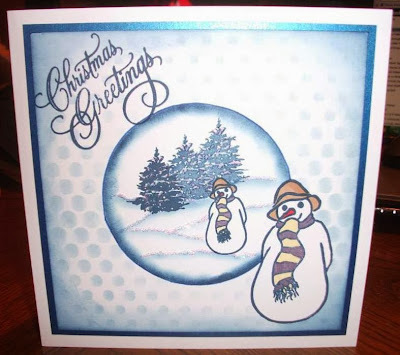 One day I was flicking through the channels on the television and found the Create and Craft channel, which got me totally addicted to making cards. I then ditched my cross stitch obsession to a card making one! I tried many techniques, which included decoupage, iris folding, paper pricking, parchment and many more. My craft stash was growing and growing! Just over a year ago I was off work poorly laying on the couch feeling sorry for myself. I turned on Create and Craft and Barbara was on doing one of the classroom programmes. I was totally amazed by her techniques, she made them seem so easy to do and from that day forward I was addicted to Clarity! 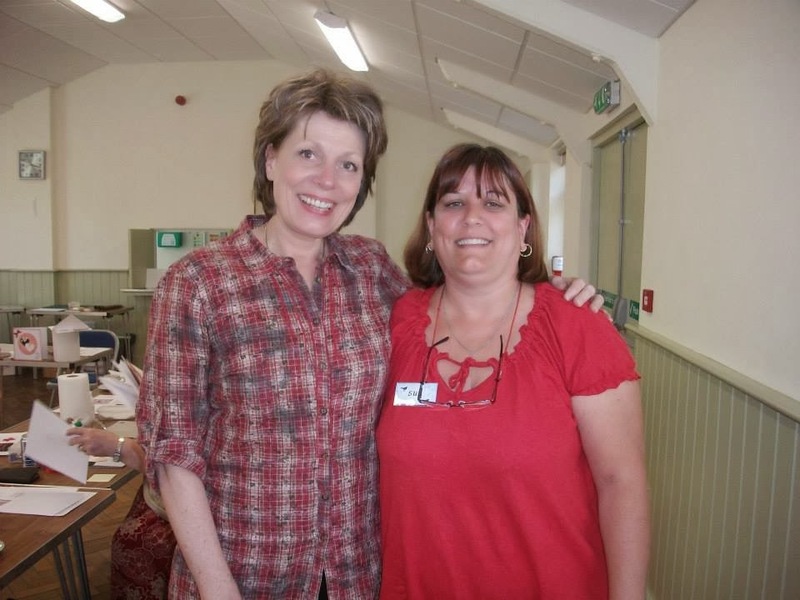 My next Clarity step was when I spotted a new workshop opening in Peterborough run by Sally-Ann Hanes, which was totally dedicated to Clarity. I was scared at going on my own, but I did it and I am soooooo glad that I did. I have met some great crafting buddies who I can't wait to meet up with every month. 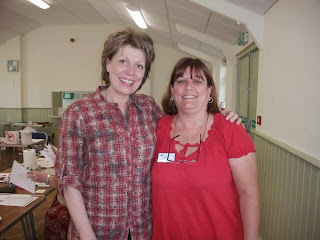 A high point of one of the workshops was when Barbara turned up whilst taking a break from the shows at Create and Craft. I'm not sure how the group managed to finish the last project of the day as we were all so star struck by Barbara! Now to top it off Barbara starts blogging and I absolutely love tuning in each day to see what fantastic creations or great stories she has next. 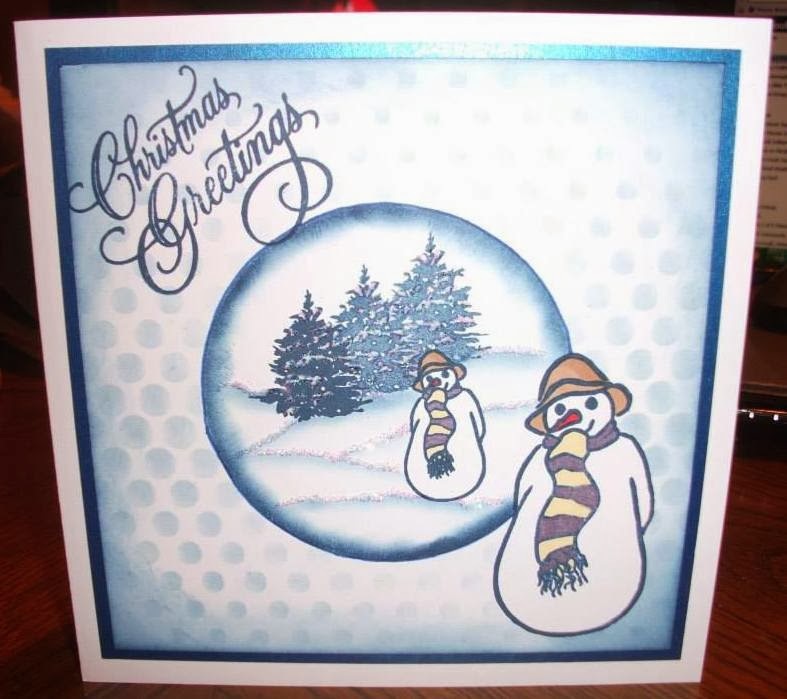 My Christmas challenge card was totally inspired by one of her postings. So thank you to all the Clarity friends that I have made, Sazz for her great workshops and lastly to Barbara for truly inspiring me! I am a Clarity addict, I'm not sure if there is a cure for it but my husband says it keeps me happy. I'm not sure if he would still be as happy if he actually knew how much money I have recently spent on Clarity items! 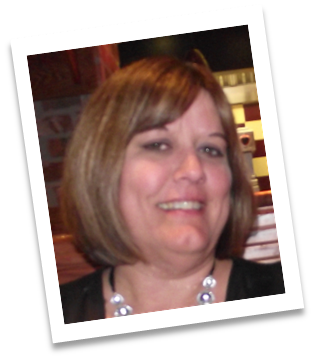 Hi Sue, what a great piece…its great being a Clarity fan…your story is great and I am pleased to say I am in your group - such a privilege to be in a group with two people who made the top 5 and a winner! !